It's already the next month for the Pass the Cook Book Club. This month is a fun month because it combines desserts, alcohol, and frozen treats! The three selections this month were recipes from the cookbook Slushed, which contains some fun grown up frozen treats. If you know me, then you know that my favorite alcoholic drink is a margarita, so naturally I chose the Frozen Key Lime Margarita Pie. Although my second drink of choice when I go out is a rum and diet, so I almost made the Cuba Libra Granita (a cuba libra is essentially a rum and coke served with lime) but a good margarita will always win! This recipe is definitely an easy one and is refreshing for a hot summer day. If you forget to make the pie the day before to freeze overnight, no worries-- I made mine around noon and it was ready to serve around 6! I made just a few changes to the recipe. Three cups of graham cracker crumbs seemed like a lot, so I reduced it to two sleeves of graham crackers that I put through the food processor (it made around 2 cups, maybe a little more). I also wasn't sure whether the crust would actually hold together without being baked, so I baked it at 350 for about ten minutes. Lastly, I tasted the filling before I poured it into the pie crust and couldn't taste the tequila, so I added a couple more tablespoons of tequila-- it ended up being an entire mini, so it was 50ml. The reason it was more mild could be because I used a silver tequila (I prefer silver tequilas), so definitely taste the filling before you add more depending on the tequila you're using. This recipe is fairly quick to put together and is a creamy, zesty, and boozy treat for all the adults. 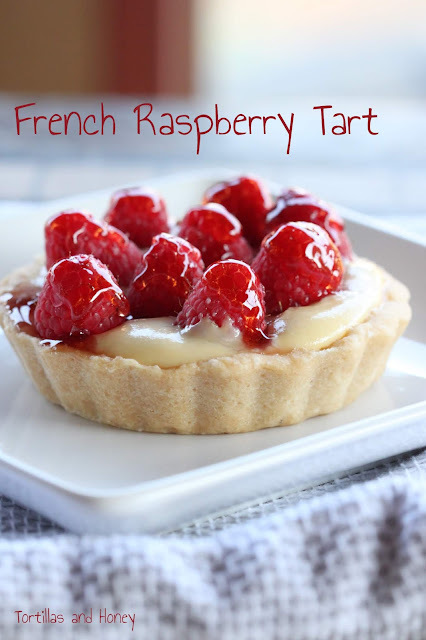 This would be great for a summer BBQ or a treat that you keep in the freezer for those hot days when you want to treat yourself to something special! Margarita lovers, definitely check out this recipe! If you're interested in learning more about the Pass the Cook Book Club, click the link or the banner below! I'm already looking forward to next month! Put the graham cracker crumbs in a bowl. Add 2 Tbs sugar and melted butter. Mix until combined. Press into a pie plate to form your crust. (I put the crust in a 350 degree oven for ten minutes. Pop the pan into the freezer and chill while you make the filling (after the pan cools if you put the crust in the oven). Make the filling by microwaving the cream cheese for a minute or two to warm it up. This will make it much easier to stir. Put the warm cream cheese, 1/2 cup sugar, key lime juice, lime zest and tequila in the bowl of your stand mixer. Beat on low until the mixture comes together. Then beat on medium-high for 5 minutes, until the mixture is fluffy and uniform. To serve, slice with sharp unserrated knife. If you are having trouble, leave on the counter for 10 minutes before slicing, or run the knife under hot water. Garnish with whipped cream (optional). I like the changes you made...wish I thought about baking the crust before hand too! Thanks! Nice "meeting" you too, following back! This looks so creamy and delish! Thanks! It's quite a wonderful boozy treat! Definitely give this one a try! Thanks for getting this club together; I'm having a great time trying recipes and seeing everyone's posts and variations! What a great looking pie! Key lime is one of my top 5 favorite pies and you make it look so easy and very, very tasty! Hope you're having a marvelous Memorial Day! Thanks MJ! Key lime pies are a favorite of mine too! Hope you're doing well! I agree! Your gelato came out beautiful... some many great recipes this month! Copyright © 2012-2018. All Rights Reserved. Simple theme. Powered by Blogger.